The idea behind the cooperation with Marco Marcu is our concept of Talent4Talent. For years, Marcu has perfectly staged the outfits of the TOP 60 at the FRANKFURT STYLE AWARD FITTING and FINALE with his young upcoming models. With his know-how as a designer and experience from his catwalk shows, he supports the FRANKFURT STYLE AWARD Team in front of and behind the stage. As backstage director, he holds the reigns behind the curtain and ensures a smooth workflow. At the FRANKFURT STYLE AWARD GALA, many of the young models are on the runway for the first time and have Marcu as an experienced contact person, who gives them valuable pointers. One and a half years ago, Marco Marcu moved from Frankfurt to Potsdam – directly in the neighborhood of Berlin Fashion Week. There in his Atelier and boutique in the Dutch quarter, he creates luxurious garments and unique, extravagant clothing pieces. In July 2015, the designer celebrated his anniversary show, 15 years Marco Marcu Fashion Design, during Berlin Fashion Week – POTSDAM NOW. „A woman searches for a new spirit in that which she wears“ – staying true to this philosophy, Marcu’s fashion is a special tip for those searching for that special something. The officially recognized fashion designer and Aenne Burda Prize-Winner produces courageous couture with bold innovation and high-quality fabrics, sophisticated cuts and attention to detail. His collections include fashion and accessories suitable for the office, but predominately evening and bridal wear. The winner for the Lifechanger Award “Fashion Designer of the Year 2013” shows his collections twice yearly at POTSDAM NOW during Fashion Week Berlin. 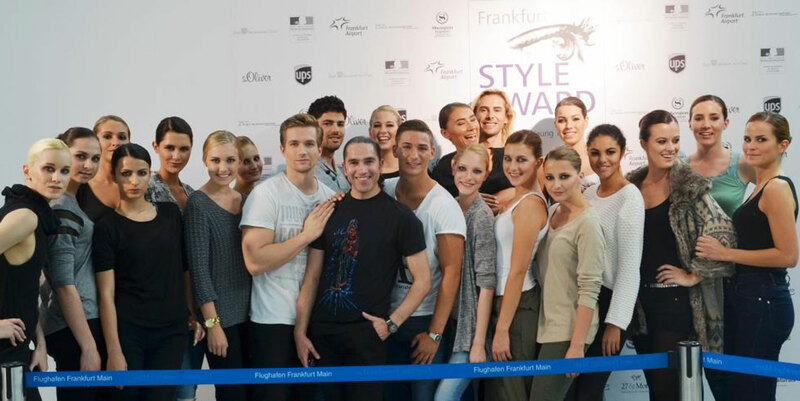 Marco Marcu is affiliated with the FRANKFURT STYLE AWARD since the beginning.